As the premier event for technology entrepreneurs in the Southeast, the CED Tech Conference attracts 800+ attendees including trailblazing entrepreneurs, investors, corporate leaders, and industry visionaries from across the nation to the Raleigh Convention Center in North Carolina, recently ranked the #1 Best State for Business (Forbes). Now in its 34th year, the two-day event will be held September 12-13, 2018 with a mission to showcase entrepreneurial companies and connect them with partners, investors, and other organizations to accelerate business growth. Experience two days of the most valuable programming and connections in the Southeast. 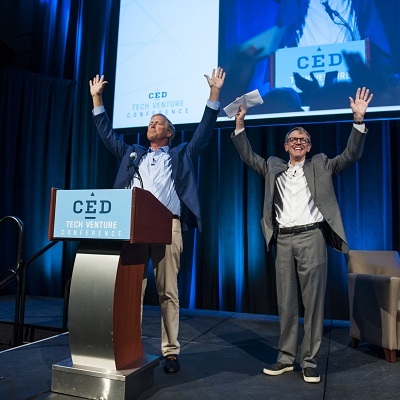 Whether you are head down running your company or actively seeking funding, the CED Tech Conference is the can't-miss gathering of NC's vibrant entrepreneurial community.